"Layla AbdelRahim demonstrates that children’s literature is a pivotal site where societies configure their relationship to the world’s anarchic, ever-diversifying web of life. Rigorously argued and beautifully written, her book is a call for renewal keyed to values such as mutual aid, freedom, love, and empathy for all living beings. If we are to halt our ecological slide into the abyss, we need to rethink what we teach our children: AbdelRahim points the way." "It is hard to imagine a more thorough-going examination of the stories children are commonly introduced to. Ms. AbdelRahim has given us an exploration that is very multifaceted and truly eye-opening. A book to read and re-read!" "Using a powerful inter-disciplinary methodology, Layla AbdelRahim's Children's Literature, Domestication, and Social Foundation provides a nuanced and mature theory of wilderness and civilisation." 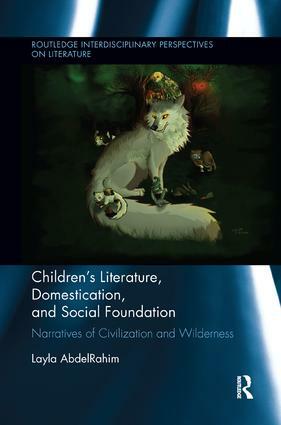 "Children's Literature, Domestication, and Social Foundation is richly comparative, experientially compelling, informative, thought-provoking, and well-supported. Digging deep into our social foundations, it both critiques and celebrates science and folklore, while providing a new perspective that is both a treat and a challenge to those who love literature."